Woodbeck Auto Parts has been supplying people with used auto parts since 1939 in Ontario, Canada. We are a late model Automotive Recycler. 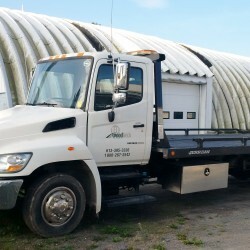 We purchase accidented vehicles, depollute them and prepare the remaining parts for sale. We are conveniently located just north of Highway 401 in Stirling, the midpoint between Ottawa and Toronto. Our Inventory is strategically purchased so that we will be able to fulfill requests. All of our inventory is inspected and tested prior to order so that you get the right part the first time. Our used auto parts are second to none. 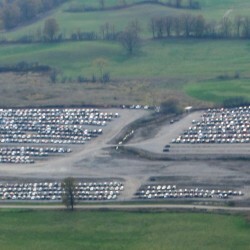 We maintain 35 acres of late-model Salvage so that we provide the best chance of fulfilling your needs. Woodbeck Auto Parts offers a great service in supplying Original Equipment Manufacturers (OEM) automotive parts at a fraction of the OEM cost. We strive to supply any part required at an honest price. Whether it be the little trim piece you require or a Complete Front End for you car, we will do our best to supply that request. 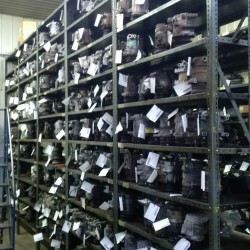 We specialize in used car parts. Woodbeck Auto Parts offers a convenient way for our frequent automotive business customers to continue to make multiple purchases with our company quickly and efficiently, click here to fill out your credit application today!